Thailand is my favourite country in Southeast Asia. Known by the nickname, “The Land of Smiles,” no nation better lives up to that name. 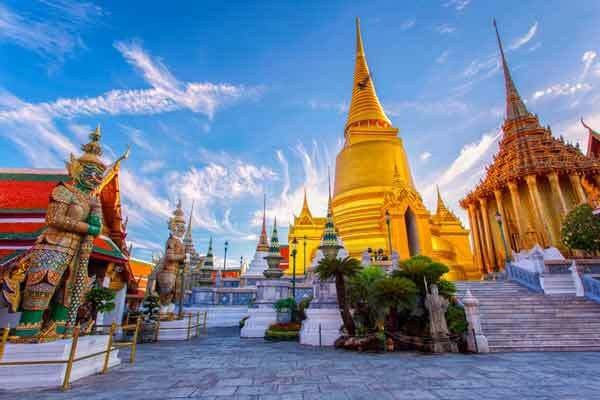 From the friendly locals to the contrast between ancient art and modern, colourful culture, Thailand will thrill you. It will change you. The dazzling Grand Palace is the city’s most famous landmark. The extensive grounds were built in 1782 and for 150 years it was the home of the Thai King and seat of the government. The city is awash in ancient wats (temples). Wat Arun Temple of Dawn is a Buddhist temple on the west bank of the Chao Phraya River. 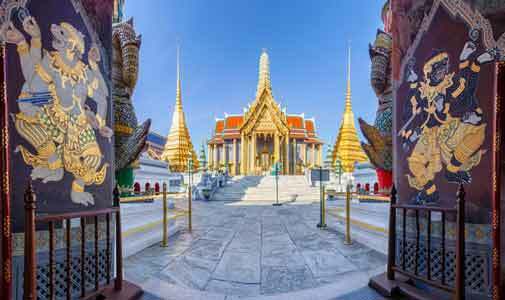 Wat Phra Kaew is located within the Palace perimeter and houses the renowned Emerald Buddha. Wat Traimit is known for its four-metre-high, seated golden Buddha made of about 83% pure gold and weighing in at five-and-a-half tons. Last but not least is Wat Pho which houses the impressive 45-metre-long, reclining golden Buddha. Note: When you’re visiting temples, be sure to be dressed appropriately or you could be denied entrance. I always carry a sarong with me when I travel which can be used to cover my arms, legs or head in respect to local customs. 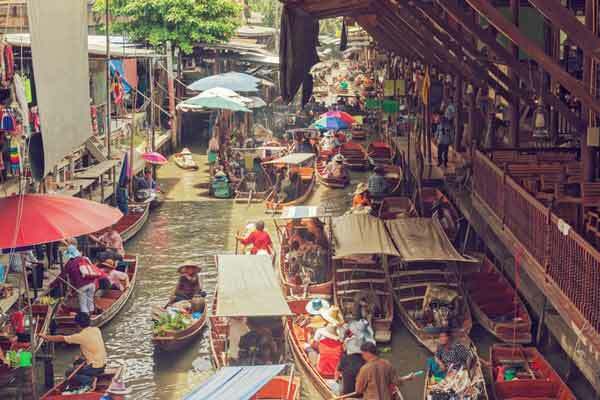 The floating markets are one of my favourite ways to spend a morning. Damnoen Saduak is my top pick. It’s the most well-known which sometimes makes it crowded, but it’s exactly that frenetic hustle-and-bustle that draws me in. It’s a cacophony of colourful fruits and handmade souvenirs colliding with mouth-watering smells of fresh meat cooking on spits–all sold from bobbing boats. I’m an ancient ruins enthusiast and the UNESCO World Heritage Site of Ayutthaya doesn’t disappoint. 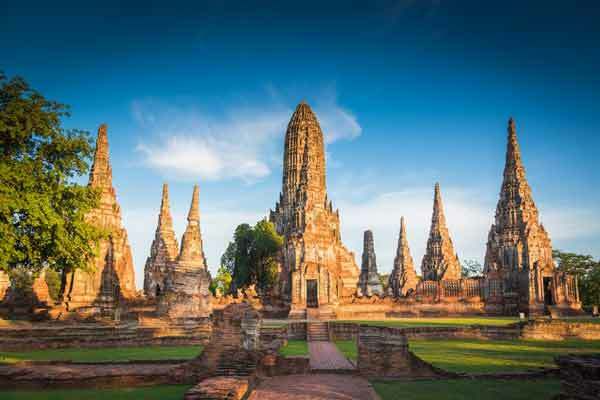 This magnificent archaeological site is just a short drive from Bangkok. In 1350, Ayutthaya was the second capital of Siam (Thailand). The Burmese invaded in 1767 and burned the city almost down to the ground. The wats, towers and palaces which were made out of stone and the headless Buddha’s and other statuary are all that remain, giving the grounds an ethereal atmosphere worthy of the lost kingdom. I wandered for hours through the winding pathways, awed by the remaining vestiges of history before me. Unless you have nerves of steel, I don’t recommend self-driving through the traffic-jammed streets. The Skytrain transit is excellent, inexpensive and easy to use. You can also hire a tuk-tuk to ride through the city. I think the saying “shop ‘til you drop” was first coined in Bangkok. The riot of colour and noise is mesmerising. 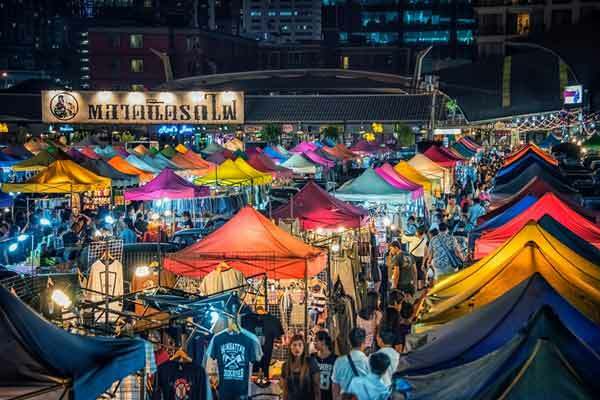 There are quite a few places to find bargains–Patpong market, Suan Lum night market, Silum and Sukhumvit Roads and the crazy Mahbonrong shopping centre. Shopping is as much a cultural as consumer experience here and bargaining is a must! On my last trip to Bangkok I brought along an extra suitcase, which was easily filled with treasures. 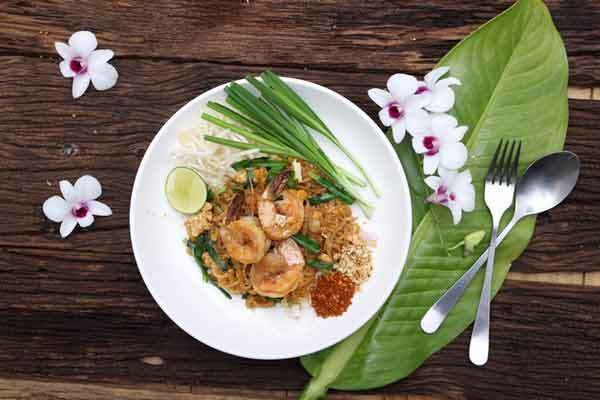 Cuisine in Bangkok is out of this world. There’s so much to choose from but I always come back to the classic Pad Thai, a stir-fried rice noodle dish with eggs and bean sprouts and flavoured with tamarind pulp, fish sauce, dried shrimp, garlic, red chili pepper and palm sugar and served with chopped roast peanuts on top. Delicious!